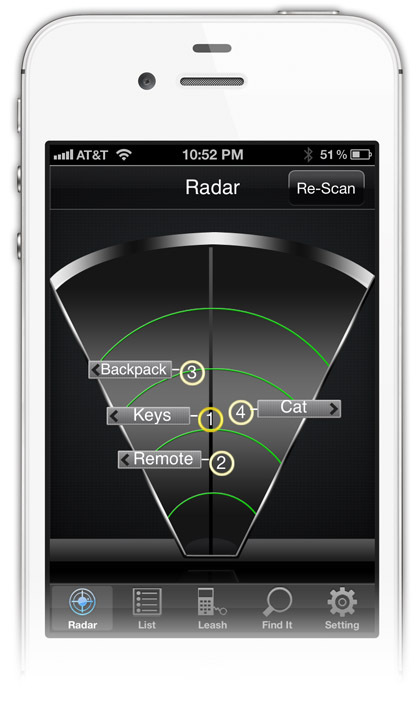 The telepen is a unique product that attaches to your keyring and makes life easier, wherever you go. An intelligent product that is inexpensive but very useful. Scrambling around to find a pen when you need it can sometimes be a daunting task but with this product you can have it on your keyring at all times. It measures about 2" long when collapsed and weighs about 1/3 of an ounce. Another intelligent idea that might just make your life a little easier. This might be a product that locksmith shops could offer with their other keyring options. Now.......when will someone invent that classy mini notepad that attaches to your cellphone? The debate that is raging across the country today regarding gun ownership and availability, appears to be causing significant stir and spin across the political divide. Whether or not you agree or disagree with opinions being raised is pointless while the constitution allows for almost any citizen to "bear arms". While the politicians continue to bicker over principles, mostly in reaction to recent deplorable events in schools, perhaps a better approach might be to require (with suitable legislation) all gun owners to own a suitably manufactured security safe, especially designed to comply with deliberately specified standards. 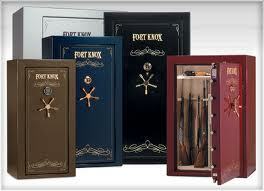 Back in November 2008 we posted an article here about safes and some regulations according to the state of California. I came across an excellent video on Youtube that gives a really great explanation about gun safes It runs about a half an hour and is well worth watching, especially if you own firearms. See the video below. Whether or not you personally choose to enter into the gun debate, realize that changing the USA constitution will be a monumental task that i suggest will be difficult at best. My opinion (or just about any opinion) is irrelevant while the constitution protects the "right to bear arms". Knock N' Lock unique access control products have been around a few years now. We first published an article here back in June 2007. The video above gives a typical scenario where the product can be typically suited. There are, of course many other applications where this product is especially useful. Essentially, the lock system uses no visible outside keyhole and consequently ensures total access control to authorised remote control users. Yes, you still require to use the especially designed key, but without a conventional keyhole of any kind, surreptitious attack of a conventional keyhole is avoided, significantly enhancing the security of the application. View the company website in the source below for further details about this superb access control solution. Further testing and development has realized a spray can delivery system that easily applies this product to almost any surface in almost any environment. This originally NASA inspired product is seemingly going to be picked up by government agencies first before a public release to market. The above video shows more uses of this incredible product. For the locksmith industry, I see this as an excellent product for locksmiths to offer weatherproofing to existing applications, especially exposed doors, windows and various materials constructions. Still no release date for the public market, but I am lead to believe it is being suggested for probable release in 2013. A New Era - Think New! Think New! This is my vision for where I want to take this business. I want to alter the fabric of my involvement in the locksmith business and adopt the CANEI Principle. Companies like Keyline above, are pushing the edge of locksmith machinery. I am familiar with their products from time spent abroad. I have always known them to be reliable and cost effective. We hope to transform our business over the next few years and modernize our machinery and other equipment. We believe the investment in new technologies, both for our business and our customers will be of great benefit to us both. We will soon travel abroad to visit with suppliers in Italy. Next year we plan to open our first retail location. We intend to modernize the lock, key and handle industry. We already offer exclusive products like the Crescent Pocket Door Lock by Cowdroy, the Lockwood 7444 Keyed Pocket Door Lock and the Rosslinear Battery Powered Electric Strike. Our range of Meroni Hardware is constantly growing. We will soon begin stocking Meroni Combina and Meroni Nova Classico handles in a wide variety of colors. We will offer Meroni Pigio handlesets too. The extensive and impressive range of hardware is ultra modern in appearance and function. We are constantly on the lookout for more products and stories about the world of locks, keys, safes and related security products and services and we will be writing more articles on this subject. We look forward to you joining us. I am often called to repair and rekey projects from customers who have relied on poorly made copies of their existing keys. It probably isnt realised by most, that when a key is duplicated in a conventional key copying machine, every new copy is cut marginally deeper thanks to a tiny layer of metal on the selected for copying key, that is removed as the duplicator guide scrapes and measures the object key. This can also lead to the object key gradually becoming deeper and deeper consequently affecting the quality of all keys duplicated in future. Then, to make matter worse, more people take their copy of the original key to get that duplicated too. The ensuing domino effect happens here. Copies of copies of copies of original keys eventually producing keys that do not work as they are supposed to. But how and why does this happen to me? is the cry usually heard. The solution is to try to record the original factory specific key code or depths and store them safely so you can go to a professionally trained locksmith and ask for an original key manufactured to the factory specifications. Often this will be marginally more expensive than just duplicating a key would be, but the benefits of less wear on both keys and locks will save you money and heartache in the long term. This rather long winded intro to Creative Locksmithing - Keying, probably is a bit much but I thought it might be interesting to know the reasons many duplicated keys dont work (besides the key cutters not knowing how to correctly service and adjust their machinery). Stick N Find is a new product device created by some talented engineers with about a decade experience in unique device design. We have mentioned previously in this blog about various brands and types of key finders and other similar products that prove popular with our readers. Products like FOFA, Low Glo Key Fob, Ultra-Sil, Hone and Light Bulb Key Ring are some of the products previously mentioned here. The Stick N Find is an ingenious invention that uses Bluetooth technology to pair your item with your smartphone. Unlike NFC, where a particularly enabled smartphone is required to use tags, the use of Bluetooth technology means that virtually any equipped mobile phone can be paired with the tags. Watch the video below (after the jump) for a complete explanation of this fabulous product. Danny was pleasure to meet and was very knowledgable. He explained several lock replacement options but I decided none of them were a good fit for a storm door, however, I did replace a lock on my entry door with a type of lock I had never seen before. I would highly recommend this company. They were prompt and showed up when he said he would show up. He knew his stuff. I had ordered new handles and he was honest enough to say that we don't need them that he can fix the doors and he did. Made me lock and unlock my doors to his satisfaction so that I knew what to do. Am very, very pleased with the service and cost. Showed up on time for appointment. Was very knowledgeable about the project and offered a solution beyond what I asked to be done. Daniel was right on time, assessed the problems I had with two doors, made the repairs, and explained what caused the problems to begin with .... He is a "door expert" and a true professional. I highly recommend him. Danny was fabulous! He went over my concerns and he provided me with more than a fair quote. He was there when he said he was going to be there. I would highly recommend Danny. Cheers! Hired Danny to re-key locks on "new" house purchase. He advised to replace with new deadbolts & door knobs on 3 entry doors instead which I agreed with. 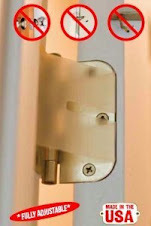 All doors have 1 matching key & the safety of excellent quality product & workmanship. He also added new strike plate to door frame to complete project.. 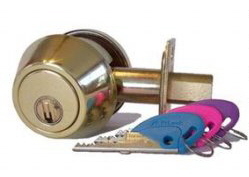 I recommend as your 1st & only call to a Locksmith. Danny was very helpful in solving a pretty complex problem involving many lock. Needed patio door track to run smoothly. Arrived early, fixed door and explained what he was doing during repair. Quick and easy. Door works great, my wife will now speak to me, and I've become a better dancer. The owner spent a longtime with me on the phone helping diagnosis the problem. He was on-time, friendly and helped resolve my issue. I will definitely use him again! I had a very pleasant experience with Master Key Systems. They came out, did the job (which took longer than expected) and they did not change the price they quoted me. Now, I am not certain that it was a great value for the money because I don't have a comparison, but they did what they said, when they said, for the price they said. Enough said!!! Professional.. Upfront about charges. Fixed the sticky door within 20 minutes. I will recommend Master Key for exterior door issues. Danny was a master craftsman, knowledgable and professional. I will be calling on him again in the future as well as passing on his services to friends and family. Danny was excellent! I called him on a Monday to fix a sliding glass door. He happened to have the exact part we needed (and it was not an easy find - we had looked everywhere) and he came over Tuesday evening. He stayed until 8:00 until the job was done, and cleaned up afterwards. He was courteous, professional, and efficient! I could not be happier! He did an excellent job. Got there on time and quickly solved the issue. Was very pleasant and explained the situation and how to keep the door from sticking in the future. Would definitely use Master Key LLC again! Danny was very friendly and knowledgeable, although his apprentice seemed to do most of the work, Danny kept an eye on him to make sure it was done right. He had very reasonable pricing for re-keying. He was extrememly fabulous and helpful and did a wonderful job. He was very professional. Growing up spending so much of my time in Italy, the uniqueness of the Nova Classico left quite an impression on me. To be able to have and enjoy them in my own home here in the states is a nostalgic indulgence I'm enjoying beyond words. Thank you Danny for coordinating this transaction. I searched the internet and found your services. I received three phone calls within several days. A service call was scheduled. Two gentlemen arrived promptly, analyzed the problem and fixed it. The repairman was on time and did an excellent job of fixing a very stubborn door lock. He was persistent and cleaned up the work area afterwards. I would use this service again. Danny at Master Key Systems has succeeded in making the purchasing of our Meroni door locks, from Italy, an absolute breeze. Even though I live in Australia with a 16hr time difference and was ordering door knobs from Italy that weren't in stock, the whole process was faultless. Danny was prompt and efficient with all his emails and made sure we had covered every possible variable so that the product I received was exactly as required. I would have no hesitation in recommending Danny for your next purchase. Your product really helped because I needed to secure a nurse's station adjacent to a waiting room and needed a pocket door. Unfortunately, no real options were available to lock a pocket door effectively that would keep me compliant with HIPAA and secure an area that stores medical supplies. This was vitally important as this particular waiting room was for "waiting detox patients". Thank you very much. Danny was very polite and knew what the problem was and how to fix it. He also gave me some information about other issues that could arise with my door and locks. Will hire again if I ever need that type of work done. This site is to inform about historical and modern approaches to Keys and Physical Security products and services. Our conveniently located workshop and service vehicles are uniquely designed to offer trade qualified, bonded, insured tradespeople with knowledge and experience spanning multiple countries and product lines. 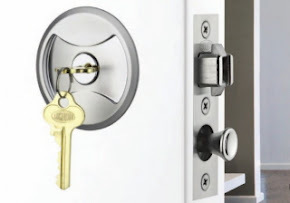 Locks210.com offers services tailored to our core operating hours of Monday - Thursday 8am-8pm and Friday 8am-6pm, to help local residents and businesses of the St Louis, Missouri region to find quality lock services at day rates. For service, please call (314) 266-1533 now! All products are sent in manufacturers condition. All products are subject to sales tax where applicable. All products are dispatched within 10 business days of remittance. All products are subject to manufacturers warranties. All products returned within 30 days, will be 95% refunded less shipping. We encourage readers to comment on posts. Simply click on the title of the post and write in the provided comment box. Danny Gurvis, a highly qualified master locksmith, learned his craft as an apprentice to three master locksmiths over the course of 4 years. Completing his apprenticeship in 1988. Danny served as an apprentice in small, medium and large businesses. 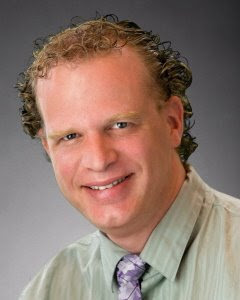 Danny has worked in multiple countries including Australia, the USA, New Zealand and Europe. Danny has a diploma of business studies from Sacramento State University, a bachelors degree in marketing from Northern Territory University, a diploma in frontline management from Victoria University of Technology, Certificate in Sales management from Tom Hopkins University. Danny has other certificates in physical security products and services from multiple manufacturers. Danny has 25 years experience in many facets of the physical and electronic security industry. Danny is well qualified to offer advice on physical security products and services. Operating as a St Louis Locksmith, Danny brings a wealth of international experience to the physical security industry in the St Louis, Missouri region. Callout: $105.00 Includes 1st hour labor. Locked out of house or car: $105.00 before parts, includes 1st Hour. Primary Service hours: Monday - Thursday 8am-6pm. Friday 8am-5pm. We are proud to recommend our very good friend and locksmith Jack from Lock Express to solve automotive key solutions. He can be contacted on (314)307-2239. He was prompt and got us back into our house right away. Professional, friendly and reasonably priced. I would highly recommend him to anyone requiring the services of a lock smith.